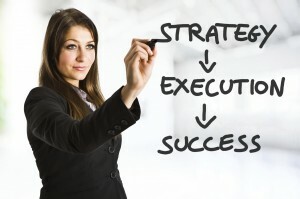 Your Keyword Strategy is the foundation of all your SEO efforts. A website is a tool that’s used to attract customers or clients for a business. If you want potential clients or customers to find you based on the services or products you offer, you want to optimize your website for the terms that people search when they are looking to buy those products or services. If you don’t optimize your site based on a keyword strategy, you might never rank in search engines for terms related to your business. Here at Online Business Creators we break down keyword research down into 3 main categories. If a person knows of your business through either your reputation, a referral, or by meeting you face-to-face, they will probably look you up online by searching for your business on the internet. If someone is in need of your services, they’ll either Google your business name, or Google your actual name. This is what’s known as a “branded search.” More often than not, if someone types your name or website’s name into Google, your website will show up fairly high in the search results. For business service websites, this is why we like to optimize an “About” page for your actual name or business name and put this page in your website’s navigation bar. Getting your site to rank for either your business name or your actual name still takes time, but it’s generally a simple and straightforward process. Website visitors need to know within 3 seconds of coming to your website what you do or what problems you solve. The majority of the evergreen content on your site should focus on what your business does, who it serves, and problems your business alleviates. This step is where the bulk of your keyword strategy comes into play. You want people to enter search terms related to what your business does into search engines and have them see your website on the search results page. The way to get your website to show up on search results pages is to create evergreen landing pages about what you do, and then optimize these for the searches people conduct. Let’s pretend you run a law firm that exclusively focuses on real estate cases. You want your law firm to show up for terms related to “real estate lawyer” and “real estate attorney” when a user conducts an online search. These are referred to as generic or non-branded Search Terms. The way to show up will depend on how fierce the competition is for your particular market, but our strategy will always include writing as many evergreen landing pages as we can about your firm. Before you start writing or hire someone to write, you need a plan to get the most out of your content. This also means using different terms throughout our evergreen landing pages when referring to real estate lawyers, such as using the terms real estate attorney, real estate lawyer, closing lawyer, lawyer for closing, best real estate lawyer, and Seattle real estate lawyer. At the end of the day, answering potential clients’ questions is the name of the game, but we also want to make sure we provide content using the terms people will search in order to find the answers we provide them with. 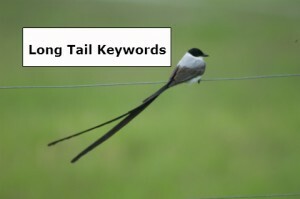 The last type of keywords you need to know about are the ones that are targeted to “Long Tail Search.” We like to think of these types of search terms as solution orientated terms that answer clients’ detailed questions by showing expertise and experience in the subject matter for the purpose of building trust with the website visitor. These are terms that probably don’t generate as much traffic but are easier to rank well for (with good content), and convert more site visitors into clients. The key to these terms is to create great content for which you can naturally include the search terms in question. For example, using Google Keyword Planner, I see that the term “Ask a Real Estate Lawyer,” generates an average 30 searches per queries per month. To rank well for this term, we should create a piece of content that answers common questions that people have for real estate lawyers, and name the content “Ask a Real Estate Lawyer.” The article should be about answering the top five or top 10 most common questions that clients have for real estate lawyers. The success in getting this page to rank isn’t how well we use the term “Ask a Real Estate Lawyer,” but rather how well we answer that question. If you don’t have a keyword strategy mapped out already, you need one starting today. Your keyword research should be the foundation of your SEO efforts. 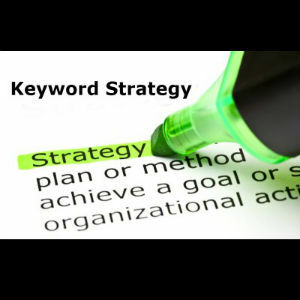 If you need help creating a keyword strategy, please contact us and we will assist you in generating one now.